(New York, NY, January 6, 2017) – The World Teleport Association (WTA) today published its annual rankings for the Top Teleport Operators of 2016. The annual rankings of companies by revenue and revenue growth are compiled by surveying teleport operators around the world as well as referencing the published results of publicly-held companies. Companies reporting for the Top Operators had total annual revenues exceeding US$12 billion, of which independent operators comprised $2.7 billion. The two fastest-growing operators, GEE/EMC and SpeedCast, have grown through merger and acquisition activity, while the previous acquisition leader, Encompass Digital Media, has focused on consolidating its purchases. Independent operators that have reported consistently for the past three years achieved an average compound annual growth rate (CAGR) of 12% over the period. In a sign of challenging times, however, 43% of these companies reported revenue declines while 47% reported revenue increases. Despite the wave of consolidation among larger operators, it has proved harder for them to achieve growth over the past three years than smaller operators. Two-thirds of smaller companies (revenues of less than US$100m) reported revenue growth over the period compared with 40% for large operators. The big companies that did grow, however achieved average CAGR of 116% for the period, compared with 42% for smaller companies. On average, the independents reporting for the Top Operators spent 41% of revenues on satellite capacity, with a low of 12% and a high of 76%. 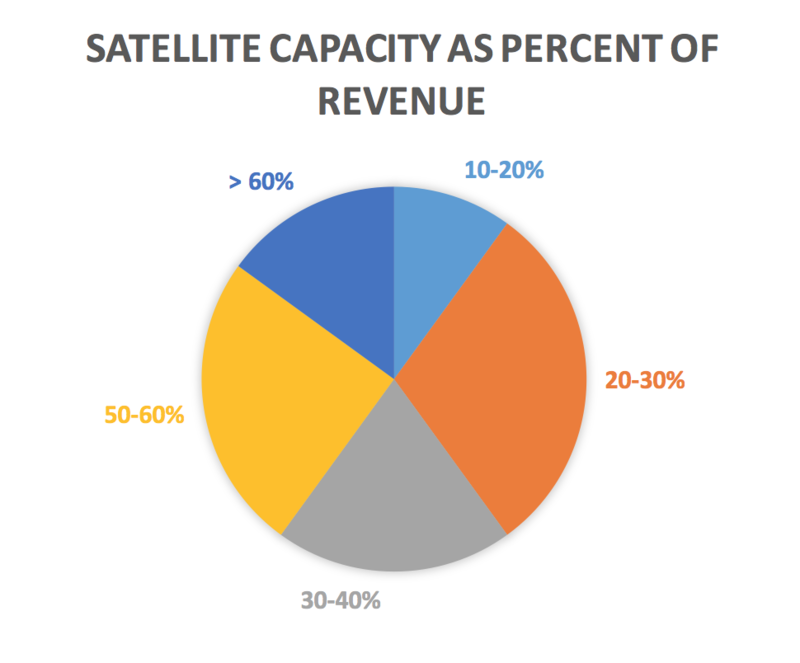 Half of the companies kept capacity spending below 40% of revenues, while 20% turned over more than 60% of revenue to their satellite vendors. In May 2017, WTA will publish its annual Inside the Top Operators report, which will provide a more detailed analysis of survey results.